The Miss Universe Organization has formed a partnership with DIC (Diamonds International Corporation) and they have become the official jewelry sponsor of the Miss Universe, Miss USA, and Miss Teen USA Pageant. With that comes new crowns and earlier this week, the new Miss Universe crown was officially unveiled. 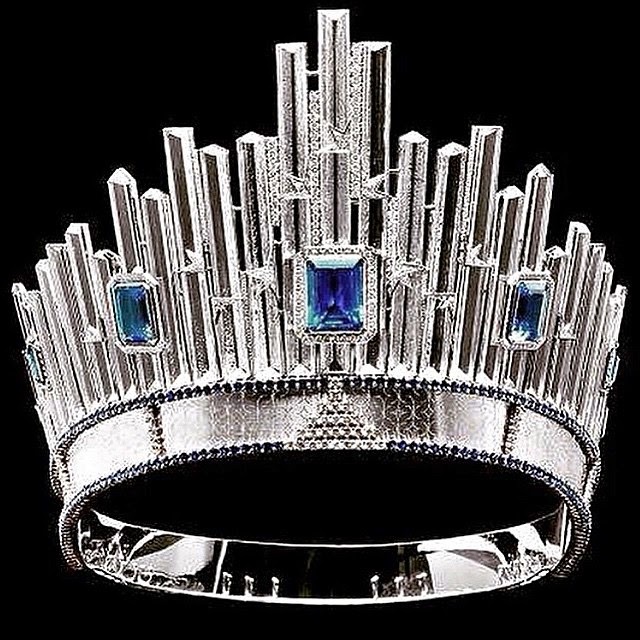 The crown is valued at an estimated US$300,000 and the silhouette is a homage to the skyline of New York City where the winner will live during her reign. Who will be the first woman to wear this crown? What a monstrosity! It took this cheap looking piece of "art" to let me appreciate the Diamond Nexus fruit bowl that I hated. I wish the MUO would go back to the crown I grew up with last used in 2001 I believe!!! This crown looks like a bowl for dipping corn chips in! !